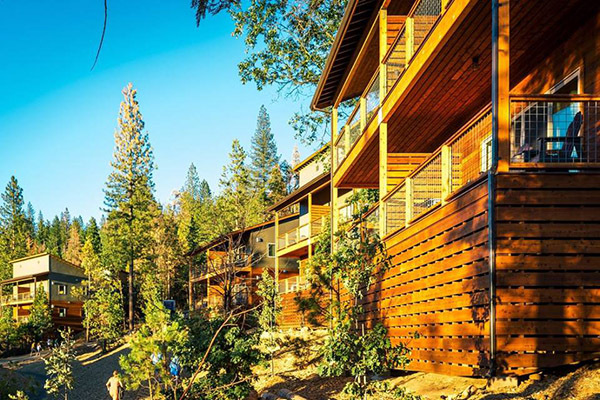 Located at Yosemite's Highway 120 West entrance, "this destination within a destination" is a brand new 20-acre hillside lodge featuring a mix of 143 Lodge Rooms, Suites and Hillside Villas, all with private decks. Rush Creek Lodge amenities include a restaurant and tavern with indoor/outdoor seating, saltwater pool, hot tubs, recreation guide service, daily activities and general store. Dining: California mountain lodge cuisine, fresh, hearty, delicious. Wood fired oven. Restaurant and Tavern with indoor/outdoor dining. Seasonal poolside dining. Breakfast, lunch, dinner and full bar. General store with trail-ready items. $-$$$. 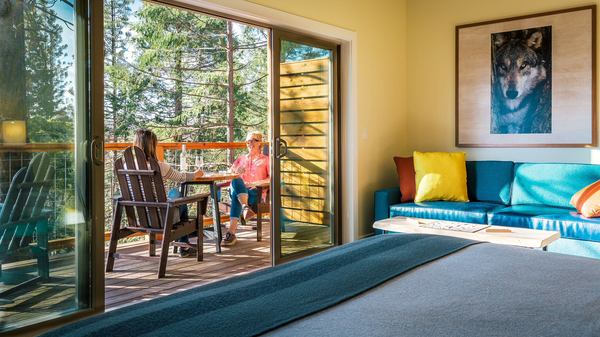 Opened in Summer 2016, Rush Creek Lodge is a superbly designed ‘destination within a destination’ located at the doorstep of Yosemite National Park, California. Rush Creek Lodge sits just half a mile from the Park’s Highway 120 west entrance, providing an ideal launching point for exploration into all parts of Yosemite. 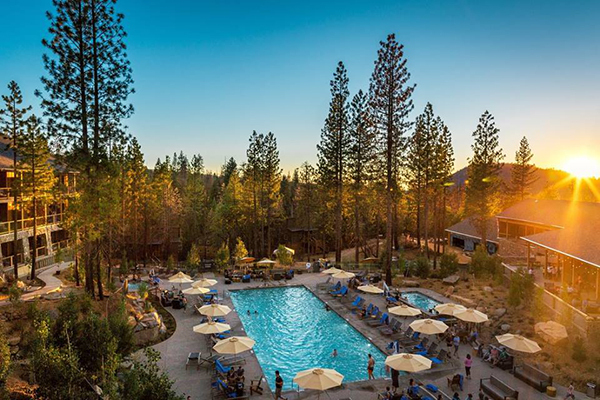 The resort is just a 3 hour drive from the San Francisco Bay Area along scenic Highway 120, the most direct route to Yosemite from the Bay Area, offering year-round access to the Park. Conveniently located at the doorstep of Yosemite National Park, Rush Creek is a superbly designed ‘destination within a destination’ making it perfect for wedding parties seeking a meaningful nature experience that is also stylish, exciting, and yet relaxing.